Should the U.S. Sue Food Companies for the Costs of the Obesity Epidemic? In November of 1998, the five largest tobacco companies in the U.S. agreed to pay 46 states over $200 billion to reimburse them for the Medicaid costs due to cigarette smoking. And that was just the beginning. Over the years, the tobacco companies have paid out billions more to the people they hurt, both medical expenses and punitive damages, and there's no end in sight. Beginning in the 1950s they started being sued for the health problems they created and in 1964, the surgeon general made it clear that tobacco was the cause of disease and death. They have been found guilty in Federal Court of racketeering, conspiring to lie to the public about the health dangers and addictive quality of their product as well as secretly working to increase the addictive power of their product and hook kids. They have not only been forced to pay for the medical problems they have caused but they have also been forced to stop trying to hook kids and lie about the health dangers of the products they make. The handwriting was on the wall. Their business was threatened with extinction. What did they do? They went into the food business. Really. In the 1980s, R.J. Reynolds (Camels, Winstons, Salem, etc,) bought Nabisco (Oreos, Chips Ahoy, Ritz Crackers, etc. ) and Phillip Morris (Marlboro, Virginia Slims and others -the largest tobacco company in the world) bought Kraft Foods (Kraft Cheese, Maxwell House coffee, Kool-Aid, Oscar Mayer and many other products you are familiar with). Then they bought General Foods Corp. The companies that sell you food have been taken over by the same characters that figured out how to make a fortune getting you "consumers" addicted to a substance that they knew made you sick and could eventually kill you in a horrible way. They aggressively and secretly worked in labs to make the addiction even more powerful than it naturally was. They even went after kids to sell their addictive poison. It's not a theory. It's proven fact. And now, they're doing the same thing with food. In a 2013 article in the New York Times, Michael Moss reveals that in 1999, "11 men who controlled America's largest food companies" gathered to discuss what to do about the obesity epidemic. It was the only item on the agenda as they confronted the facts about the emerging obesity epidemic and the health dangers of the food they were selling, presented by the scientists who had been working to make their products addictive. What did they decide to do? Nothing, as far as combatting the epidemic they were creating. Instead, one of the leaders encouraged all to push onward in their efforts to hook people and sell more product. Moss writes, "The meeting was remarkable for the insider admission of guilt" and "What I found, over four years of research and reporting (revealed in Moss's book, Salt Sugar Fat: How the Food Giants Hooked Us), was a conscious effort -- taking place in labs and marketing meetings and grocery-store aisles -- to get people hooked." In the 15 years since that meeting, we have learned a great deal about food addiction, the role that food companies have played in creating the obesity epidemic, and the costs of the epidemic to our people and nation. A lot has changed in attitudes about food addiction. When I began writing about and treating food addiction and obesity in the early 1980s, the scientific and medical community ridiculed the idea of food addiction. Now, the research is flooding in, and like climate change, only the most stubborn reality deniers are arguing. The CDC officially identified obesity as an epidemic over ten years ago and things have gotten worse since. The CDC provides us data showing that over third of our adult population is clinically obese, and the medical costs to the nation are over $147 billion annually, more than the costs due to smoking. Will the country and the states be able to sue the food companies and make them pay for the medical cost due to the epidemic they have created? Will we be able to force them to stop making food hyper-addictive and stop targeting kids? Will we be able to force them to fund programs to educate people and help them to solve their obesity problems? Why not? We did it with the tobacco companies. We won those suits because it was found that the tobacco companies were responsible for intentionally causing us harm and expense for profit. How is the food industry any different with what we are finding? It will take years and hard work to get this done, as it did with tobacco. And it will take elected leaders who are working for the people instead of the corporations. But we found extraordinary leaders in the late congressman from California, Henry Waxman and the late Florida Governor Lawton Chiles, and scores more to fight this scourge in congress and states across the union. Who will step up to take on the food industry like those heroes who took on tobacco? 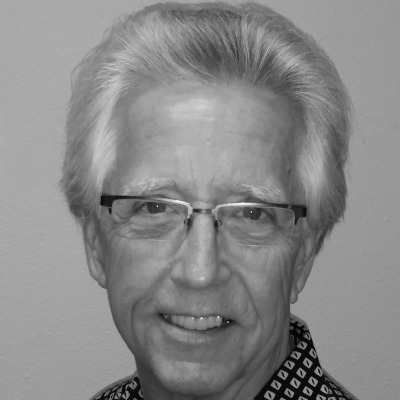 William Anderson is a Licensed Mental Health Counselor who specializes in weight loss, eating disorders and addictions. He is the author of The Anderson Method. Licensed Mental Health Counselor, Weight Loss Expert, Author of "The Anderson Method"